Hey there. So I am sure you have noticed I haven't been posting quite as much as usual. Well I have lot's of personal things going on and just haven't quite had the same amount of free time as I used to, but I think I can promise that it will be back to regular posts next week. I just thought I'd fill you in on a few things, and ask you a few questions to help me out. 1. I don't know where I first saw this (I am pretty sure it was on one of your awesome blogs so please remind me if it was you so I can give you a shout out), but it REALLY struck a chord with me. A couple months ago I began attempting to change the lens in which I perceive the world by following his suggestions at the end of the video but got sidetracked with vacation, life, weddings, etc. I have begun again this week! Just thought I'd share with you. 2. Confession - I do not work out, ever. Haven't seen the inside of a gym in over a year (and there is a free one in my building). I HATE it, the sweating, the anxiety I get trying to convince myself to go, it really just is so hard for me to get motivated. This creates a problem as one of the requirements in the aforementioned challenge is to exercise every day. So if you guys have any tips for me let me know! I have been starting out slowly by accompanying Mike on 30 min long walks with the dog. I might just dust off my sneakers tonight for a run (getting the chills just thinking about it). 3. I want to start feeling better in general. I am just coming to the realization that I can't keep eating whatever I want and expect to feel good. As you guys know, I LOVE to cook/bake. Any easy healthful go-to mid-week recipes (that are't salad) you have sitting in your back pocket, please share! 4. I am officially finished with the 50 Shades trilogy and would like to club Anastasia over the head. Did anyone else find her to be extremely annoying? Anyway, I now need a good book to read on my commute. Suggestions welcome! 5. Is anyone else completely overwhelmed by the number of awesome shows running on Sundays now? My DVR and I can't take it. 6. Is it weird that I've already started a holiday Pinterest board? amen to that quote. LOVE!! Love that quote! I wasn't a huge Ana fan either, she just got on my nerves with her whiny attitude. Hope things are okay with you on the personal end. I know you say you hate working out, but even a brisk walk on a nice day can really make you feel better. I just watched that video and it totally struck a chord with me too. His suggestions make total sense and it seems so simple, I'm definitely going to work on following them. Thank you for sharing it! Another vote for Couch to 5K - it started at a level I could accomplish and kept me challenged and I've *never* been a runner in my life. Ana was annoying and especially so with the narration, if you had a book on tape - just a bit too much Valley Girl co-ed, especially for the "Oh My" and other irritating exclaimations. I'm totally with you on #2 and #3. I've been feeling so sluggish lately that I've realized I need to take better care of myself! I know the feeling. I just went through that cycle as well about not posting... it happens, no worries there at all!I hear you on being healthier I am the SAME EXACT way... its just so hard to get motivated, I know once I do I will be though, once your body gets use to working out its an addiction, and once you stop eating bad things you don't crave it! Like I do not eat red meat, ever now and then I see a meatball and want it so badly, but its become a lot easier not to eat it now I haven't for over a year. BUT getting to that point is hard, but you can totally do it! YOGA! I hate to workout too but look forward to yoga every week! Glad to know I'm not the only one guilty of not working out. I hate running (competitive swimming was my sport growing up) and I also really lack motivation. Much like you, I do enjoy going for walks but definitely know I should do something a little more high intensity. As for good recipes, I try to eat more wholesome foods, like lots of veggies and rice (I'm gluten-free so sadly whole grains aren't really an option). I find that when I eat less processed foods, I feel a thousand times better. And no it's not weird that you've got a holiday board started, I'm really resisting the urge to start one too! Might try Yoga! Great post, hope you are okay! alright, i'm with you on the exercise thing--the ONLY way I finally got a regular routine was by getting a trainer at my gym. that is across the street from my apartment. so yeah, it's expensive, but it's the first time in almost two years taht i've gone consistently. it's like everyone says, btw...the GETTING THERE is the hard part. once i'm there though i really like what i'm doing. i just need to go when i don't have sessions with my trainer to really get results. and as for mid week healthy meals, the key to that is just planning. i make a bunch of stuff on sunday, but you could also do it saturday if you're an old lady like me, so that the week nights are easy. obviously i have tons of clean/glutenfree recipes on my blog; i'd HIGHLY recommend the loaded baked faux-tato soup, the spinach/prosciutto/avocado salad, and anything topped with the caulif-redo sauce i made. soups are also a super easy way to eat healthy (i.e., lots of veggies), but not much effort at all. plus one recipe usually makes a couple servings, so i usually double it to have meals for days. top it with some crisped pancetta for protein and voila, a nutritious and easy meal! I actually really enjoy working out but have not been getting to the gym at all. Lame. Welcome aboard the health kick train. I just did that. SkinnyTaste.com is a great website for super easy & healthy stuff. I love it. Walking the dog is pretty good way to work out if you don't want to go to the gym. You can also try jogging outside... it is really plesent! I am jogging every day for almost 3 years. My life sucked so much in last 4 years, but from time to time, like today, everything works out :), and I feel amazing and so so happy. 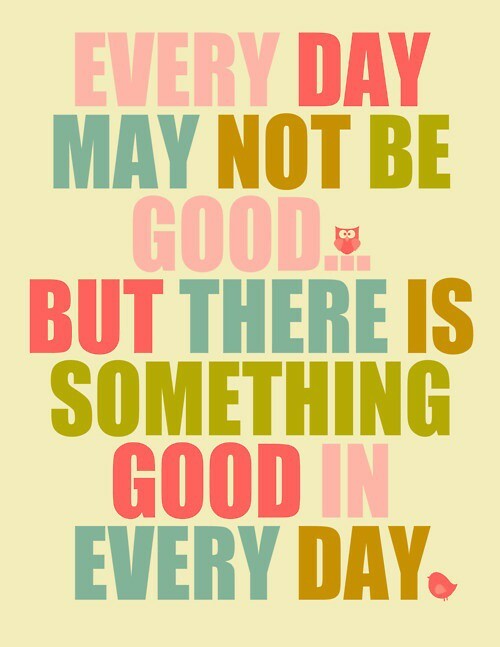 So, something good in everyday. 2. Try yoga (I esp like vinyasa). You wont sweat (at least not much), it's great for your body, and the last 5 or so minutes are spent laying down/meditating so you're super relaxed at the end. 4. Please read Gone Girl. It's amazing. 5. I know! I've recently gotten into Revenge and love it. I completely understand how you feel- I've been working hard on trying to have a more positive less judgemental look on life. If you don't like working out try yoga or pilates- for me it feels like cheating working out! Anything that requires me to lay down while working out is a win in my book. I know exactly how you feel, I really hate going to the gym too, but I also need to start exercising more. I agree with those who said yoga - it's exercise but it's also relaxing! I also just like taking long walks around DC - usually the destination of the walk will involve shopping (motivation, right?) haha. You should check out Mindy Kaling's book, or Tina Fey's if you haven't already! And I agree about Anastasia - I couldn't even get through the first book because she was so annoying! You don't have to be a big sweaty mess at the end of a workout for it to be productive. I do a 30 minute walk every day and some days I do extra and have a swim or cycle. The minute you don't enjoy exercise is the minute you stop doing it so stick with the things you love and you'll be happy! I am with you on all of the new shows, especially on Sunday. It honestly stresses me out a little.